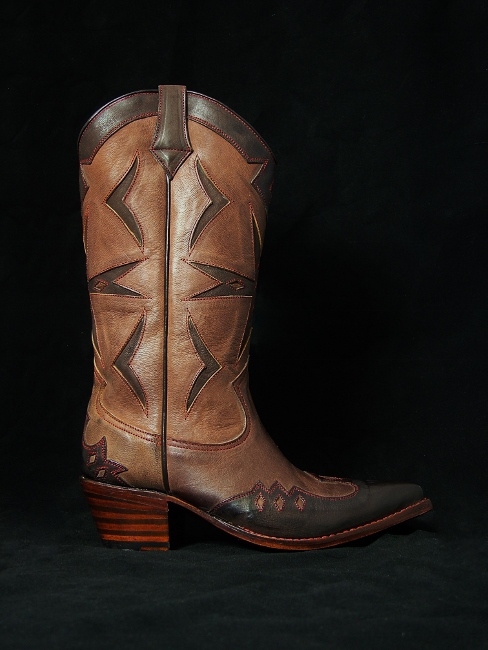 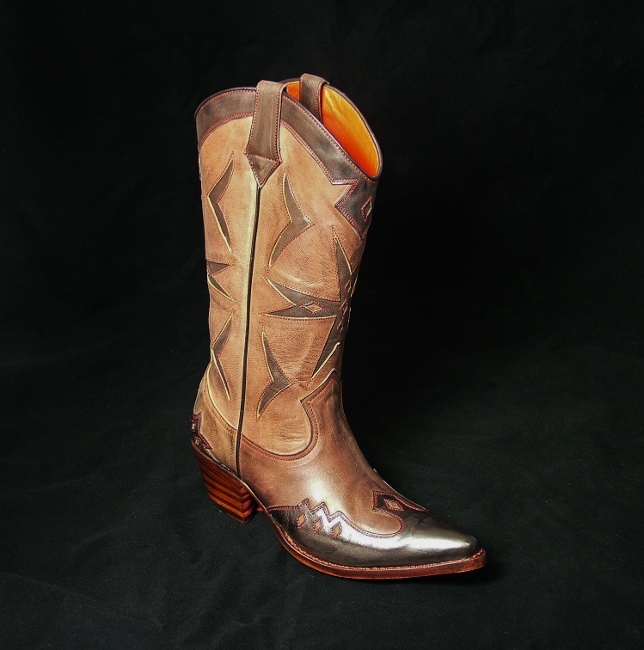 The QUATRO Festival calf-height boot in handburnished tiger brown leather. 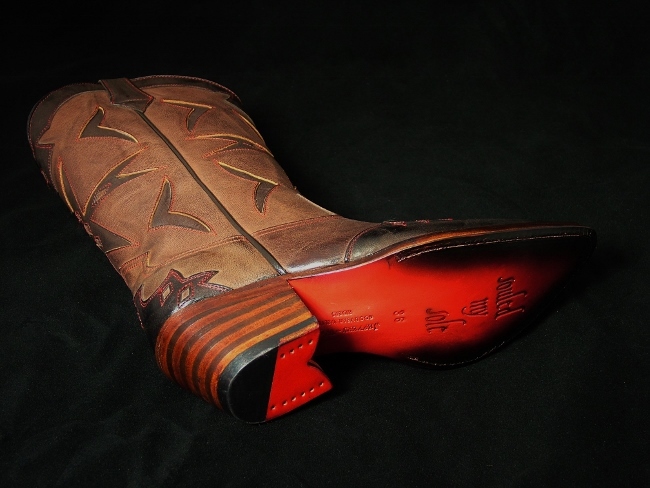 The design incorporates the signature Jeffery-West diamond punching, arrowhead wing cap, the Maltese cross emblem and our unique cloven heel. Goodyear Welted.